Looking to sass up your workweek? 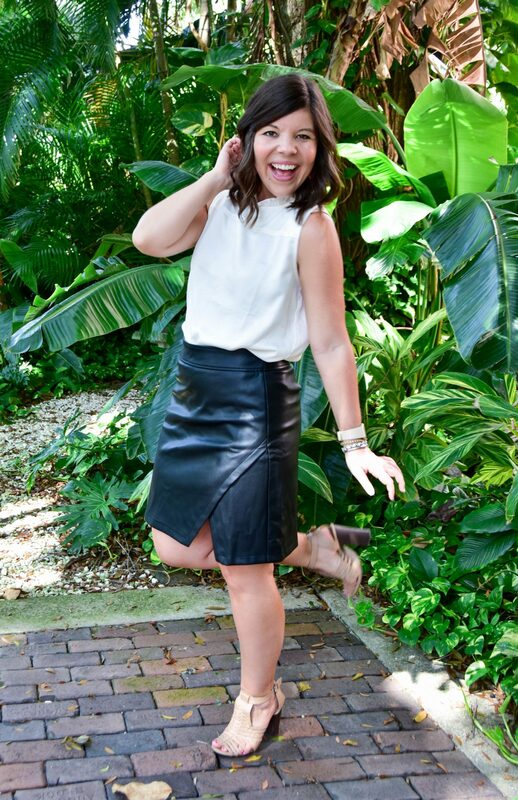 Let me introduce you to your spicy BFF: the black leather skirt! 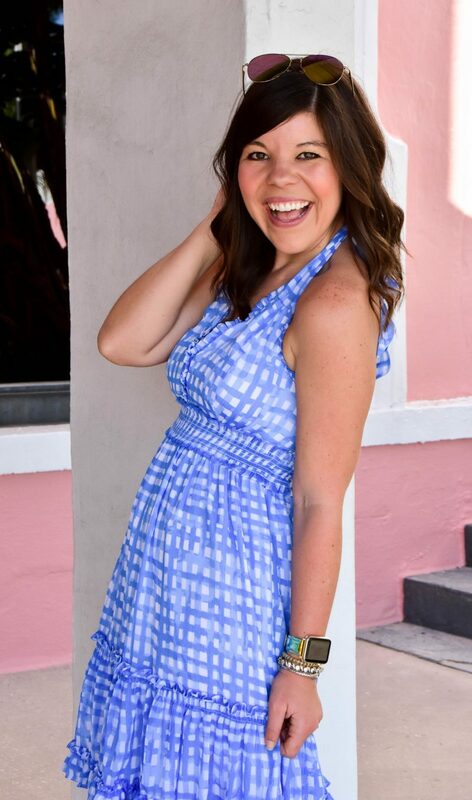 Show of hands, who is ready to spice up your workweek wardrobe?? (Me: Raises hand) I think the easiest thing to get in a rut with is out workweek look- you know how it goes; you’re running late and grab pants + blouse which is easy and mindless. But if you’re anything like me you crave a little extra “umph” sometimes! 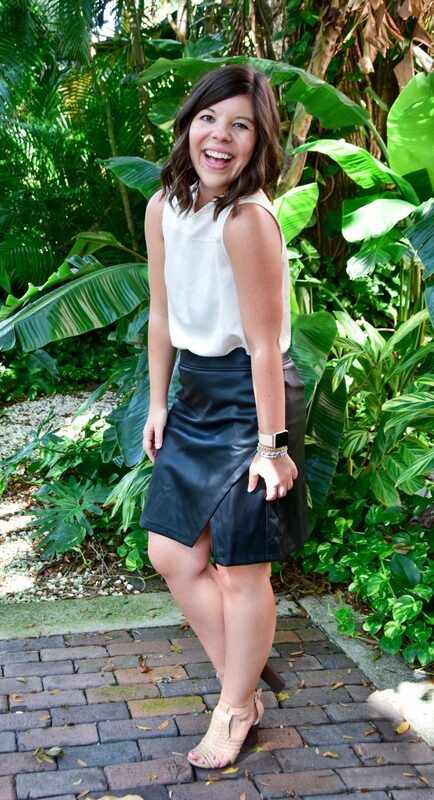 Enter: the black leather skirt!! I know, I’m as shocked as you are that this skirt made it’s way onto my body! 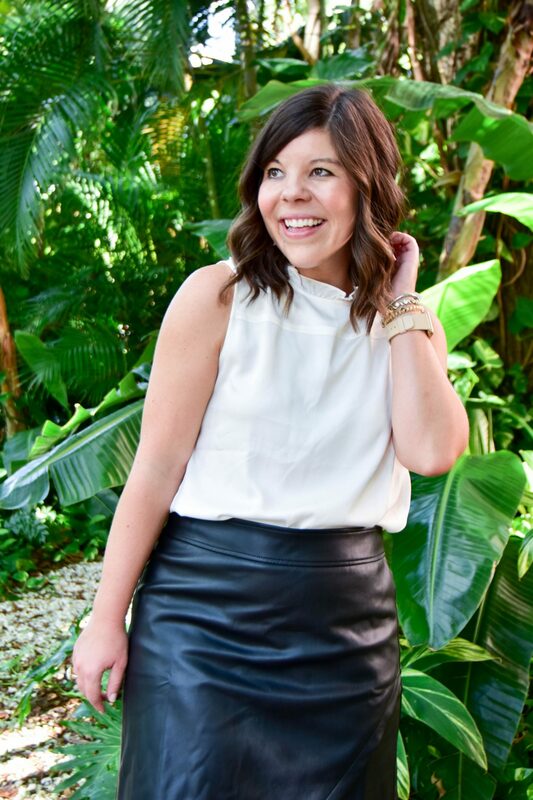 Three things I usually stay away from are fitted clothing, black, and leather… and yet somehow this black leather skirt is anything but ordinary and the minute I put it on I knew I was done for… this skirt was mine! It was actually a challenge to style it for this shoot though- and not for the reason you think! It was 93 on Sunday and over 90% humidity… SWELTERING would be an understatement! haha. But let this look be proof that you can wear leather in all kinds on weather 😉 Tell me, are you wearing leather this fall?? Previous Post FASTer Way to Fat Loss Kickoff! Loving your leather skirt dear!! OMG that leather skirt is so cute! I love its asymmetrical style! Totally need to get it! Loving this outfit! Your skirt is fabulous!! 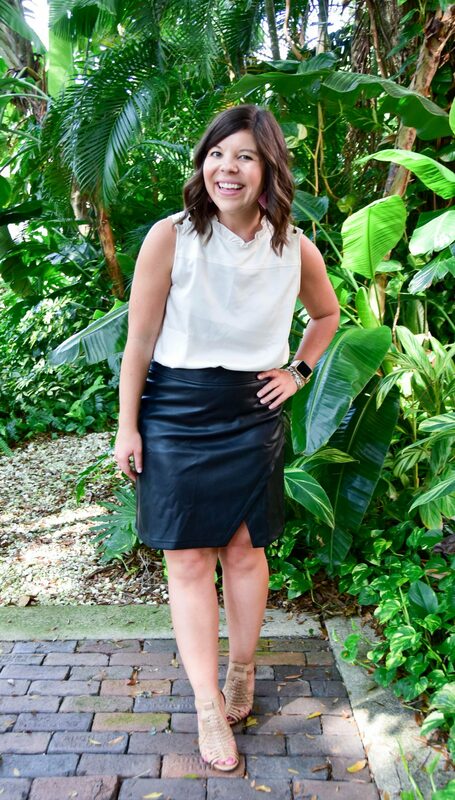 YESSS girl you are rocking this leather skirt! Love it. 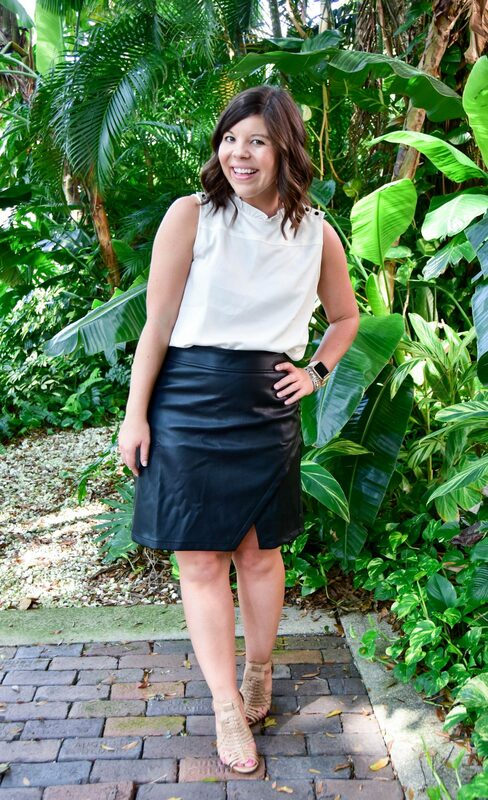 LOVE the idea of incorporating a leather skirt into your work week! 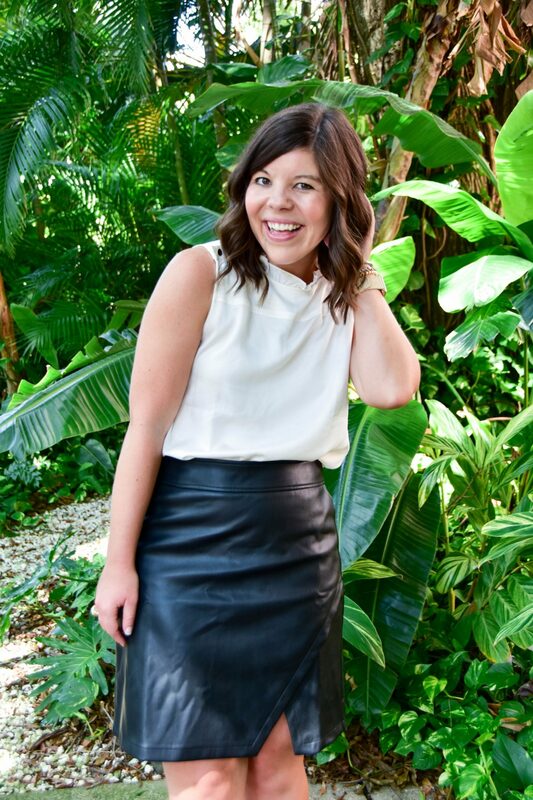 You styled this skirt perfectly, despite the heat! 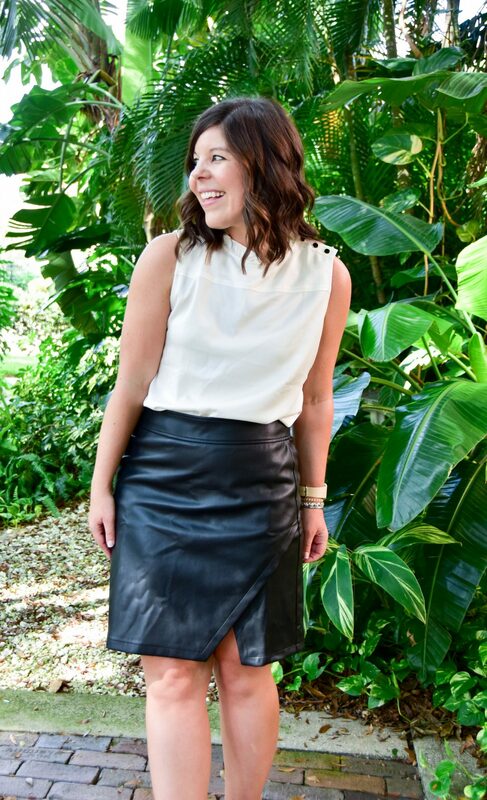 This leather skirt is such a great find! It’s appropriate for work but also can be dressed up and made sassy for a night out! I love color just like you but just as much I love black and white! Never fails! This skirt is so cute on you! I love it. 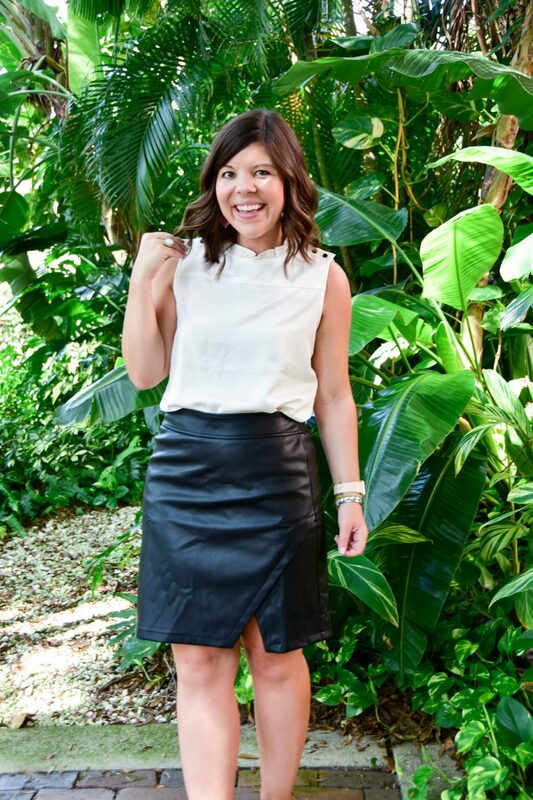 Oh, this leather skirt is so cute! I love how you styled it and those shoes are perfect! This is such a fun take on work wear! Girl, I am loving your outfit! That leather skirt is so chic. Need that skirt in my life!! So cute! It definitely is the most fun!